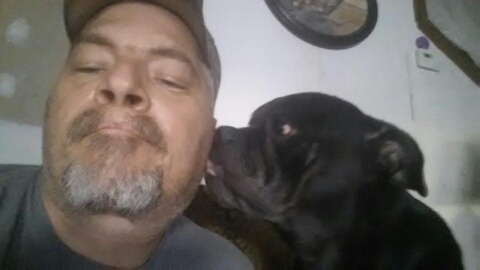 James Johnson, also known as “Bulldog” to those who knew him best, 46, of Holly Pond, passed away Saturday, April 14, 2018. He was born November 25, 1971 in Oneida, New York, to Terrance and Sharon Pickard Johnson. Mr. Johnson was a loving father and grandfather. He was a mechanic and worked most recently for Greencraft Small Engine Repair in Cullman. James had a love for bulldogs and was given the nickname “Bulldog” as a result of his affection for the breed. Mr. Johnson is survived by his father; brothers, Chris Johnson, Wayne Johnson, and Tony Pickard; sisters, Jody Roque,Tina LaFrance, Lorraine Smith, and Marilyn Chase; three daughters, Karley, Kalie, and Kelly; and three granddaughters, Leelah, Estella, and Lakota. Memorial services will be Wednesday, April 18, 2018 at 3 p.m. in the Holly Pond Funeral Home Chapel. Friends and neighbors are invited to visit with the family beginning at 2:30 p.m. until the service begins. Holly Pond Funeral Home is honored to serve the family of Mr. Johnson.